After lunchtime, you head to Sin Chai B village. This is a village of of Red Dzao people. Dinner and overnight in a bamboo hut in the village. 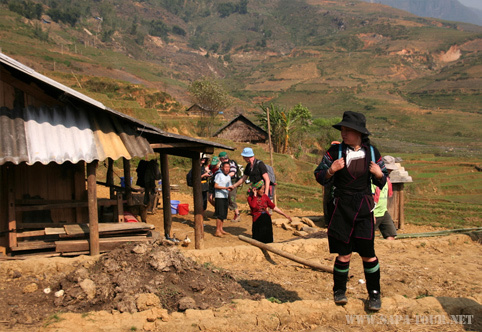 After breakfast, we start our day by walking downhill toward the My Son village which is inhabited by the Xafo ethnic minority, one of the smallest group’s ethnic in Northern Vietnam. After one and a half hours walk to the Red Dzao village of Nam Toong, we bill stop for lunch.